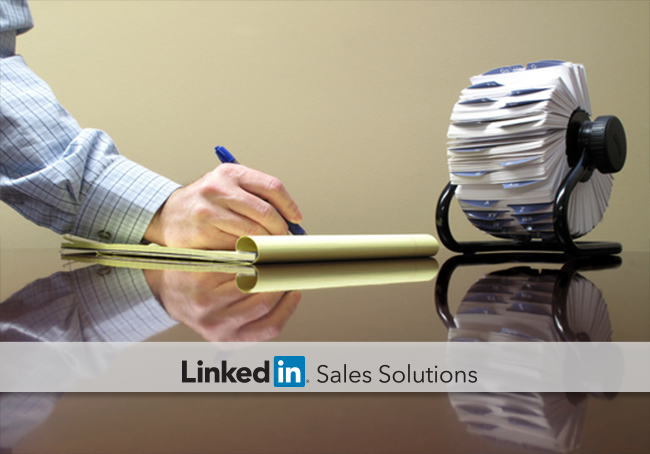 Streamline your contacts using LinkedIn’s Digital Rolodex. In this post, we’ll show you how. If you’ve ever watched reruns of old office sitcoms—think Mary Tyler Moore era—you’ve seen a curious artifact sitting on every employee’s desk. It looked like a sideways cylinder with pieces of paper sticking out all the way around it. This bizarre fossil was called a “Rolodex.” Back in those days, sales professionals called it the “wheel of opportunity,” because the Rolodex stored all the business cards and contact information of clients, referral partners, and potential customers. Having a Rolodex stuffed with contacts meant a schedule chock full of meetings. It meant the difference between hitting your sales goals and hitting the bricks. Fast forward a few decades and even though a lot has changed, the need for sales lead generation hasn’t. Generating leads still involves finding the right people, collecting and storing information about them, and contacting them effectively. You can still buy a Rolodex if you’re feeling retro, but today LinkedIn provides far more efficient ways to manage your contacts and identify the best opportunities. 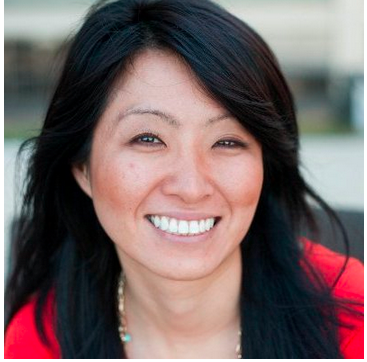 Here are a few tactics you can use to make LinkedIn your efficient virtual Rolodex. Unlike the old paper Rolodex, LinkedIn’s “Connections” page allows for far more than just an alphabetical sort. At the top of your contacts list are two drop-downs. With the first one you can sort by last name, first name, or most recent conversation. The drop-down labeled “Filter,” though, pulls data from your contacts so you can easily select subsets. You can filter by company, tag (more on that later), location, title, and whether they’re a LinkedIn contact or an import from email. The “Contact Info” tab (complete with Rolodex icon!) stores the basic contact information the person has provided to LinkedIn. You can edit this info if you have better methods of contact. Tags are a versatile and powerful tool for creating categories within your contacts. 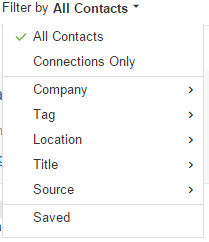 You can use up to 200 tags, and your contacts won’t see what tags you’ve created. You can assign multiple tags to contacts as well. For example, say you attended a professional seminar called ExpoCon2015 and made a large number of new connections there. You can tag those connections with “ExpoCon.” If a few of them are also decision makers in their companies, you can tag that subset with your “decision maker” tag as well. Here’s a quick set of instructions to get you started tagging contacts. Tag sorting also allows you to message groups of contacts. Keep in mind, of course, that LinkedIn discourages spam of any kind, so if you send a group message it should be relevant to the entire group. For example, when you’re planning your trip to ExpoCon2016, you can quickly let all your ExpoCon2015 connections know you’re attending. You would filter your contacts by the “ExpoCon” tag, hit “Select All,” then “Send Message.”To further prevent spam, LinkedIn limits group messages to 50 at a time. If you have more than 50 people with the same tag, use a variant like “ExpoCon1,” “ExpoCon2,” etc. so you can still message them efficiently. The old paper Rolodex was state-of-the-art technology for years. Using LinkedIn as a “digital rolodex” offers some significant advantages: You can take it anywhere without looking like a lunatic, it’s fireproof, and it carries no risk of paper cuts. It also enables you to sort and filter contacts, keep an organized record of your interactions, and use tags to organize them in groups. It’s worth your time to regularly take a few minutes to organize your contacts. Once you create a framework, you can tag all your new connections and keep everything up-to-date. With your digital Rolodex fully optimized, you will gain a consistent, go-to source of social selling opportunities.